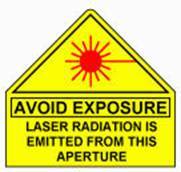 There are certain basic precautions that should be used with any ranged weapon, including laser death rays. Treat every death ray as if it were charged and ready to fire. Always keep the aperture pointed in a safe direction. Keep your finger off the trigger until you are ready to fire. Use your safety, but remember that safeties sometimes fail. Be sure of your target and what lies behind it before firing. Never use a death ray unless you are familiar with how it works. Be sure the aperture is clear of obstructions. Never point a death ray at anything you do not want to shoot. Remove the power source of a death ray when not in use. Store power supplies and death rays separately.